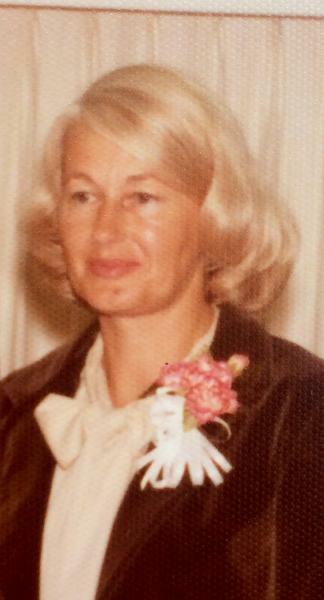 Ursula M. Vosselman, 86, died July 28, 2014 in Pocomoke, MD. She was born in Oldenburg, Germany on May 29, 1928 to Alfred and Herta (Borchers) Linnemeier. Herta immigrated to the United States 6 months after her husband on June 6, 1930 with Ursula and her sister Inge. In time, her youngest sister Louise was born. Ursula was baptized as one of Jehovah's Witnesses in New York in 1960. She is preceded in death by her husband Glenroy Vosselman (1993) and a nephew, Andrew. She is survived by their 3 children Glen Vosselman (Jennifer) of Pocomoke, MD, Vickie Durante of Salisbury, MD, Guy Vosselman (Sandy) of Phoenix, AZ; 9 grandchildren: Joel, Nicole, Heather, Alyssa, Nathan, Lindsay, Megan, Travis, Katie; 9 great grandchildren; her sisters Inge Mackey (Edward) of Boyertown, PA and Louise Jones (Paul) of Reading, PA; nieces and a nephew. A memorial service will be held on Friday, August 8, 2014 at 2:00pm at the Kingdom Hall of Jehovah's Witnesses in Westover, MD.